Have you written a screenplay but is it difficult to find a producer to turn it into a film? Did you know that you can earn money from your screenplays and attract the attention of numerous producers through Kindle? 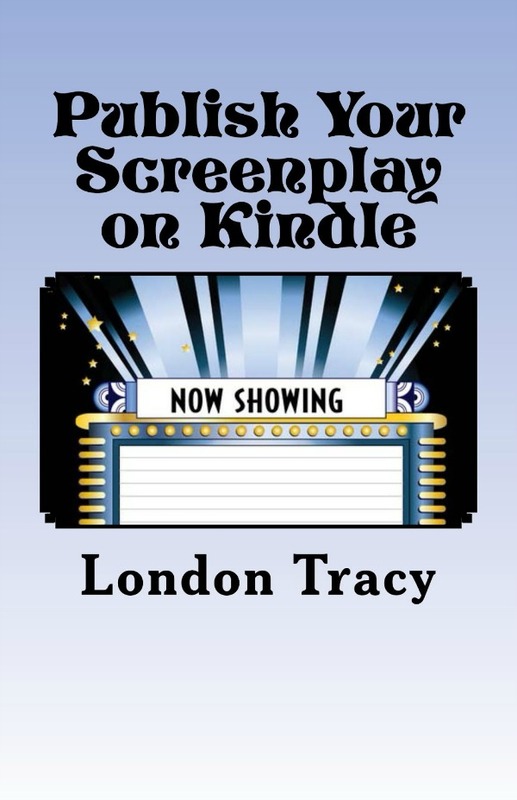 If you're interested in knowing more, then look no further because author London Tracey is giving away a copy of her book Publish Your Screenplay on Kindle to one lucky reader of this blog. To enter to win, leave a comment below telling me why you are interested in reading this book. Giveaway is open worldwide. London Tracy will pick a winner on November 28. Good luck! * How to find people and blogs to review your screenplay for free. I'd just be fascinated to learn how to make money this way. I'm looking for a how to book for publishing and launching a successful screenplay ebook on Kindle, maximizing my downloads, and generating a consistent income from my screenplay ebook. I hope to learn more about KDP Select, free downloads, screenplay marketing, screenplay pricing and Kindle formatting. It will be a gift to someone. SO excited about Publish Your Screenplay On Kindle...Thanks! Oh!!! I think that sounds great!